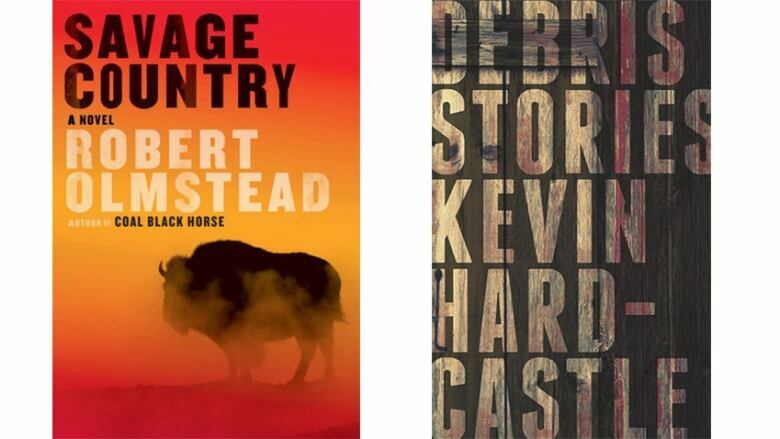 The Next Chapter listener Brent van Staalduinen compares Robert Olmstead's Savage Country to Kevin Hardcastle's short story collection Debris. Savage Country by Robert Olmstead is a gritty American historical novel about post-Civil War life and the hard choices people make to survive. The Next Chapter listener and author Brent van Staalduinen says that Kevin Hardcastle's story collection Debris — which won the 2016 Trillium Book Award and the 2017 ReLit Award for short fiction — is the perfect Canadian companion to Olmstead's novel. "Savage Country is a book about a man named Michael, who is a veteran of the Civil War in the United States. He has lived abroad for a long time and when he returns to the home of his dead brother to pay off the brother's debt he encounters Elizabeth, the brother's widow. She wants to honour her husband's final request which was to go out and hunt these last remaining buffalo and she asks Michael to take her on his journey. It's a remarkable work. One of the things that really came out of this novel was how brutal people need to be sometimes to survive, but also how brutal people can be to each other." "I get the same kinds of feelings when I read Kevin Hardcastle's work. I appreciate how his short story collection Debris approaches the underclass, people who have to make incredibly hard decisions in order to survive. It's the question of how we achieve success and the means that we use to achieve it. "Both Olmstead and Hardcastle do not shy away from the brutal realities of living in the country with limited means and the complicated morality of what people need to do when they're in need." Brent van Staalduinen's comments have been edited for length and clarity.